of most things really, but especially of a fish called steelhead. Its nominal definition goes that it’s a rainbow trout that migrates from river to ocean and back again to spawn, like a salmon. But like most living things, after you dedicate time to deep observation, their essential superpowers transcend human understanding. Just ask a grooved-out steelhead fly fisher. In doing so you might hear how, for instance, steelhead have been tagged in Oregonian rivers and recaptured years later off the coast of Japan. You will then be entreated to confirm that that’s crazy, right?! You might also be regaled by the legend that high-seas commercial fishermen rarely intercept steelhead as bycatch in their nets, suggesting a steelhead’s epic peregrinations are committed to solo, without friends in schools. They’re lone wolves out there, mysterious and supremely noble in the icy gray – the ultimate, fitting match for someone unimpressed by the listlessness of day-to-day society. Then ask the steelhead angler about the special ones that run into rivers in the dead of winter and watch as their frantic code-red tone trails off. They fall silent, look you in the eye, and quietly, carefully size up whether you really care, or whether you’re just humoring them. Because now you’re talking about very serious stuff. 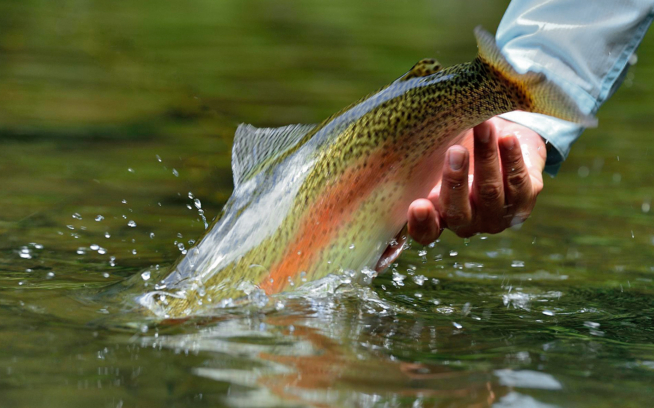 In general, the drama and excitement of fly fishing takes place almost entirely in your head. No matter what kind of fish you’re trying to trick, there’s always more time spent standing stone-still in a river, thinking about it, than there is with a fish actually on the line. The sub-discipline of winter steelheading stretches this to its threadbare extreme: The gap is immense. Sometimes it goes on for a whole winter. It’s all mind, for virtually no matter. Sounds boring, I know, but there are no other “sports” in which the crucial defining moments revolve around a literal connection to another form of life. This is interesting to me. We often forget, ignore, or underestimate that humans are for better or (more often) for worse, the planet’s top predator. And even when we confront this fact, it’s usually only in the abstract. We are so far up the food chain these days we can get our food with money. But fly fishing is not abstract. 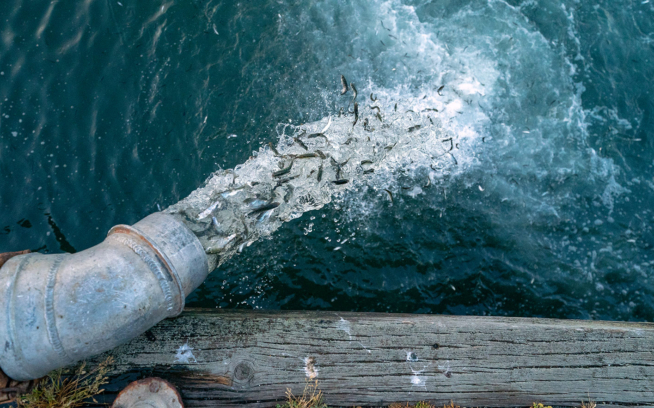 To catch a fish you must to step into an ecosystem, consider where you are, where your quarry came from, where it is going, why it might be hanging out in an eddy rather than in traffic, and why you are catching more or fewer of them this year compared to last. To catch a fish, the old saying goes, you must think like one. It’s so true. If you watch a fly fisher trying for winter steelhead, you will not see any great feats of athleticism, and you certainly will not see any death-defying shockers. Ninety nine point nine percent of the time what you will see is exquisite patience and contemplation. 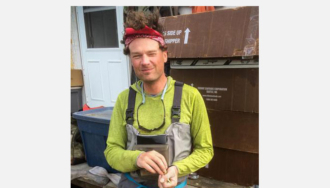 But if you watch a seriously steezy river-man like Rich Zellman long enough, you might, with luck, after days and days, catch a fragment. One in Winter was kindly supported by Patagonia and we’re honored by this. Thanks, Patagonia, for making, doing, and supporting stuff that turns things better than they were before, in all that that means. You can check out the soundtrack, "The Pull" by The Microphones, at K Records. Ryan Peterson travels to beautiful places because that's where fish still live. 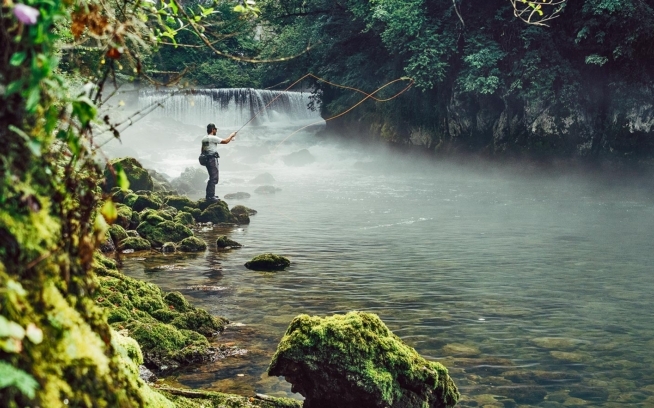 Working as an international fly fishing travel agent at The Fly Shop in Redding, California, he is committed to sustainable ecotourism as a means of education and conservation. Ryan has contributed to some of fly fishing’s most soulful film and video projects including Eastern Rises (Felt Soul Media), Monster Fish: Kamchatka Salmon (National Geographic), and The Season 2 (Duct Tape then Beer).